I've started gathering the parts for Book 2, and yes, that is a sticker sheet from 10188, expensive to buy in UK, I sourced this one affordable sheet from Czech Republic. The instructions require 16 of these sheets in total (very expensive) so I'll make do with one for some detail. Another couple of Bricklink order should see Book 2 ready for building. Dear god that is so impressive even at this stage. It is indeed Aidan! It's quite a weight already, and to think what it will weigh when it's finish will definitely test the stands. Quick update... all 3069 parts sourced and purchased for Book 2. Been so busy in the past month with work and family weddings, so hoping to find free time this weekend to beginning sorting (I love sorting) in preparation for building. Excuse the rubbish mobile pic. So do I... 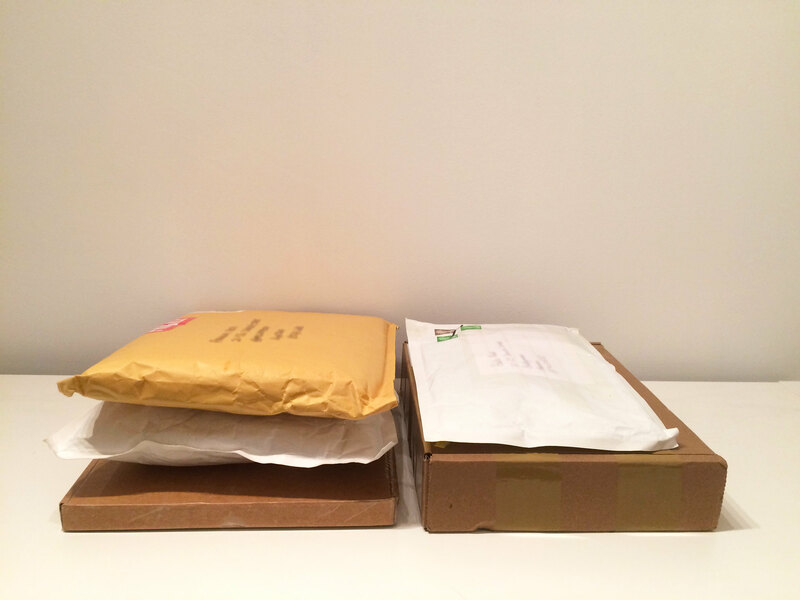 These final packages arrived with me at the start of the week, and can't wait to get them opened up. I love the process of checking off BL orders, and then sorting by part/type/colour. All Book 2 parts sorted and ready to build. As per my previous post, lots of 1x1s and 1x2s (contained in the small boxes) in this book for the side greebling, basically sorted by colour, between LBG and DBG. Some more progress shots, I've been really busy with work lately, and having had much time to spend on the ISD (also preoccupied in building Slave 1). I've started Bricklinking parts for Book 3 with Book 2 building almost complete. One more night of solid building should see Book 2 complete. This sure is turning out great. Impressed with the interior. The tables and bunk beds in particular. Those bunk beds are fantastic alright. Looks like such a fun build. How many books in total? It is a vast project no doubt, one which I'm enjoying and taking my time over (not to mention to cost in the parts alone). Sometimes I do question myself on whether or not to continue with it, mainly due to the cost, but hey, I'm in no panic, and to be honest, it keeps me focused as I've had no real desire to purchase any of the Star Wars sets from TLG in the past year. The bunk beds and the canteen were really fun to build, my wife was impressed with the interior, which led me onto showing her some of the city/town MOCs from forum members. There are 8 books in total Patrick. Books 1 and 2 required approximately 6200 parts, so that's over a third the way there ;-) The quality of the intructions are fantastic too, a real credit to the guy who designed the PDFs. Edited to restore original post. Remember, as long as the parts are mainly LBG in colour and reasonably priced vs the market value its money well spent. If you ever tire of this you can of course re-use the parts so it's never a one-off expense with LEGO. And think of all that entertainment time spent clicking which otherwise could be spent elsewhere and maybe with associated costs like going to the cinema to watch TLM 2! Well that's how I internally process it. Details is fantastic really excited to see the hangar detail given the detail already shown on inside. Don’t see it being a very mobile display piece either. Will need to get you one of this glass coffee tables I have seen displaying the big falcon set.